My head was a swirling mix of thought and emotion this week. Lows, highs and everything in between. I'm looking forward to the weekend; mostly the simple, quiet comforts I'm hopeful it will bring. 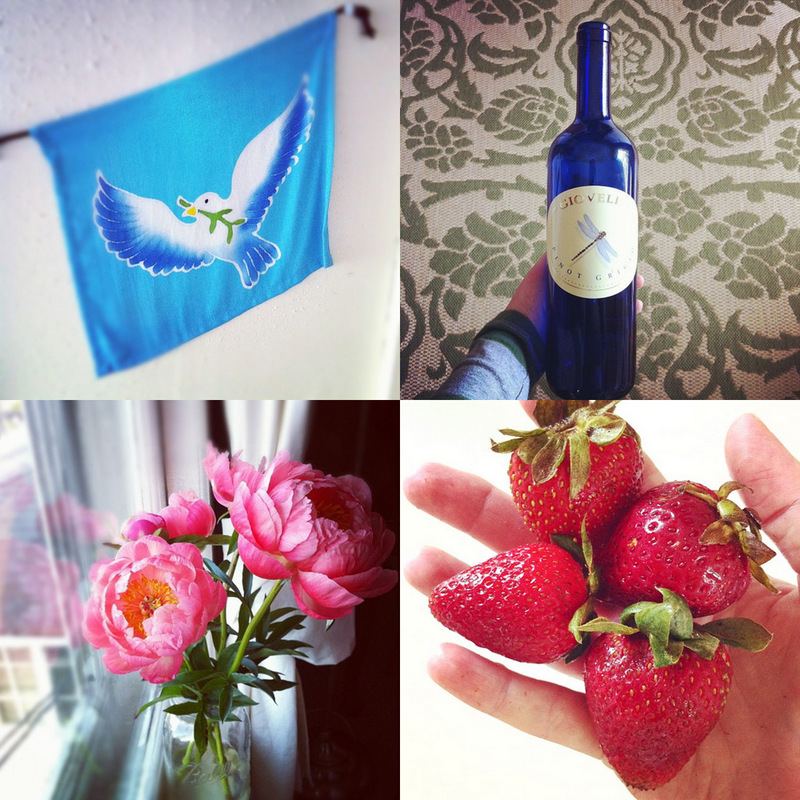 (Recent photos from my instagram stream: a peace wall pennant I've had forever; the prettiest wine bottle; teeny-tiny organic strawberries; and coral charm peonies in early evening light. oh, how I wish I could have a vase of peonies year-round. they really are the most gorgeous thing. wishing you a peaceful weekend, my friend! basically, peonies and strawberries are my two most favorite things.